After a season marred by struggles with knee pain which resulted in two stints on the disabled list, there is one lingering question – is there a feasible surgical remedy and if so, is it worth it? One of Dustin Pedroia’s hallmark characteristics has always been his toughness – his willingness, sometimes insistence, on playing through injuries is one of the things that has endeared him to Sox fans and allowed him to be a productive player throughout his career. This is a player, after all, who once took ground balls on his knees while recovering from a foot injury and played an entire season with a torn ligament in his thumb. His left knee, however, may prove to be a problem that even Pedroia can’t out-tough. Last offseason he had an arthroscopic “cleanout” of his painful knee – despite that he still spent time on the disabled list twice and by the end of the season he was clearly not moving well on the leg and seemed to lack the ability to drive the ball at the plate. At the end of the season he alluded to the possibility of additional surgery on the knee but seemed unsure of the best plan of action, referring to the “long recovery” surgery would entail. Given what we know about Pedroia’s knee (his previous surgery, his persistent issues with the knee this year) and what we can read between the lines from his comments about the potential for an extended recovery from any additional surgery, what can we infer as to the status of his knee? My best estimate is that he has some early arthritic changes of the knee – rough spots of cartilage that were the target of his arthroscopic cleanout last year, likely in the patellofemoral part of the knee (under the kneecap). The goal of this type of procedure, a chondroplasty, is to remove any loose edges of cartilage which might be causing symptoms. 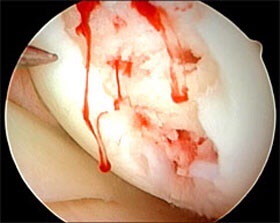 However, it does not replace any lost or worn cartilage, it merely smooths the edges of whatever is damaged. The advantage of a procedure such as this is that it is a quick recovery- typically only a couple days on crutches with no running for a month or so. Pedroia could have easily had a procedure such as this in the offseason and been back in plenty of time for spring training. The downside of a chondroplasty is that it doesn’t address the root of the problem, the loss/wear of the surface cartilage, so while it frequently gives at least temporary relief, the symptoms will usually return sooner or later. If Pedroia was older or less active, he might be a candidate for some sort of knee replacement, either partial or total. Knee replacement surgery is an excellent procedure for relieving pain, but it’s not compatible with high-level athletic activity. What, then, are the surgical options for a young, active patient like Pedroia? 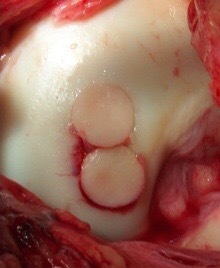 Younger patients with cartilage injuries may be candidates for cartilage restoration procedures such as microfracture (poking holes in the bone to stimulate new cartilage growth), OATS (osteochondral allograft transfer surgery, where bone and cartilage is taken from one part of the knee or a cadaver knee and transferred to the abnormal area of cartilage) or ACI (autologous chondrocyte implantation, where a small amount of normal cartilage from the knee is harvested surgically, grown in a lab, and reimplanted in the knee at a later date). 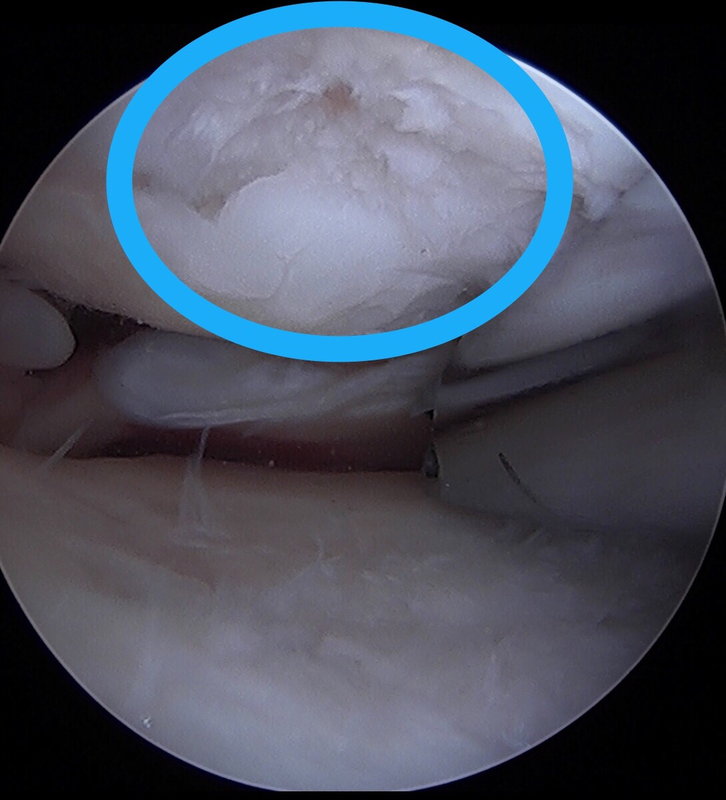 The obvious advantage of these procedures over a chondroplasty, or “cleanout”, is that the root of the problem is being addressed- new cartilage is being grown or transferred to the area of cartilage loss. The downsides, especially when it comes to an athlete like Pedroia, are the extended rehabilitation (4-6 weeks on crutches, no running for 3-6 months, no sports activity for 6-12 months depending on the specific procedure) and the lack of guaranteed success. 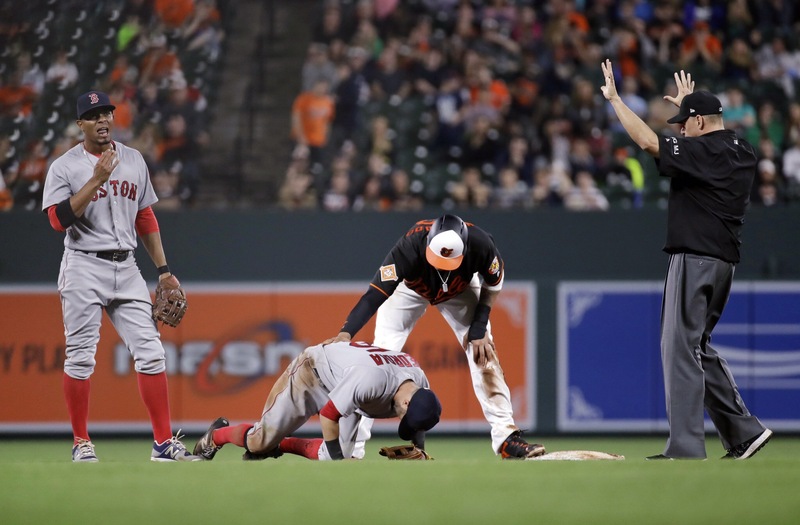 While the odds are good, there are certainly patients who don’t do well or get back to their previous level of activity- one recent example from baseball was Grady Sizemore, who had microfracture on his knees prior to signing with the Red Sox and while he did make it back to MLB, was never quite the same player. So where does this leave the protagonist of this tale, the Red Sox diminutive second baseman? As a 34-year-old with four years left on a contract that will pay him an average of 14 million dollars a year, the Red Sox would certainly hope for more productivity and less time on the DL from him moving forward. Having a cartilage restoration procedure might extend his career longevity, but would certainly require him to miss a significant amount of time in the near future. Even if Pedroia were to have surgery in the next few weeks, he would almost definitely miss a significant portion of next season, if not the whole year. Pedroia may decide that the potential upside of having the surgery does not outweigh the definitive downside of missing a substantial chunk of one his last seasons of professional baseball. That would leave him in his current situation, with a less-than-perfect knee which might be manageable but is likely to flare up at times over the next few seasons. At the end of the day, there is certainly no perfect solution for Pedroia and the Sox – how they handle it will certainly bear watching in the off-season and in upcoming years. Great read. After playing competitive baseball my whole life and well into my 30’s, I was diagnosed with the same, eventually in both knees. The only real solution after multiple surgeries is a total knee replacement as you stated. Pedey’s career, as he knows it, is in jeopardy. Especially playing middle infield. Could he not DH to save the knee? I think there are a lot of things that can limit the damage going forward. DHing, days off, especially on turf, replacing him late in games, etc. but real improvement appears to be another thing entirely.